It’s been two and a half weeks since my last post, and I’m about to get wildly inappropriate talking about a priest—all during this season of lent. But, guys, he’s a fictional priest. And also, let’s be honest–he doesn’t take his priestly vows all that seriously. 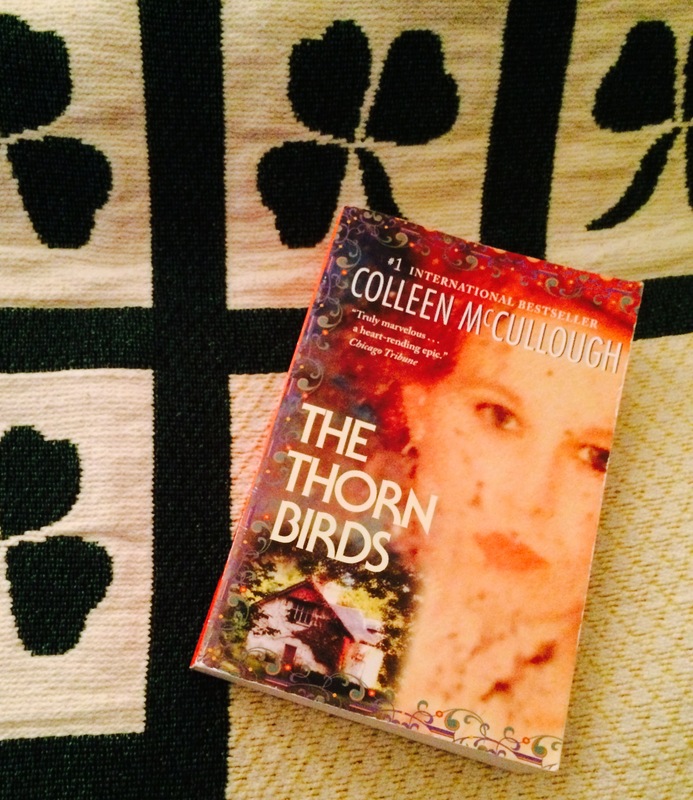 Obviously, I’m talking about that gorgeous creature Father Ralph de Bricassart of Colleen McCullough’s The Thorn Birds. Father Ralph is described as being as handsome as Adonis with the sexual magnetism of Don Juan. If that doesn’t make you want to buy a one way ticket to the Australian outback and join his congregation, I don’t know what will. With his loose black curls, his shockingly blue eyes, and the way he struts around in his vestments like he’s David Beckham in a Calvin Klein ad, the man is as close to physically perfect as they come. And he knows it, and he hates it. It’s like he thinks of his looks as some kind of prison, and he looks down his beautifully sculpted nose at anyone who allows themselves to be taken by his flawlessly chiseled exterior. It’s no wonder why that mean old wench Mary Carson can’t stop obsessing over him—but sorry, lady. Father Ralph only has eyes for one gal, and that’s Meggie Cleary. I mean, yeah, he’s a priest and he’s not supposed to have eyes for any gal, but he’s flawed! And that’s why we love him, right? The thing is, Ralph de Bricassart wants so very much to be infallible, and he so very much is not. He’s too ambitious, too proud, and too uncontrolled by his emotions. The whole reason he winds up with a parish out in the middle of nowhere in the first place is because he’s been exiled for insulting the bishop. (Such a rebel.) He’s blind to his flaws, blind to things he doesn’t want to see, and then there’s the small matter of having an outright love affair even though he’s a priest! But you know what? None of us are perfect, and he’s got a good heart. And he’s so incredibly passionate. And he’s so, so beautiful. So on this St. Patrick’s Day, I’m going to pass on the corn beef, cabbage, and Irish soda bread and indulge in the tastiest Irish delicacy of all—Ralph de Bricassart. And if that comes with a big old heaping of Catholic guilt? I’m okay with that. Richard Chamberlain makes a great Father Ralph in the 1983 miniseries, but can we get a campaign to Hollywood going for a big screen adaptation with Henry Cavill? Please and thank you. Miss any of our other Literary Hunks of the Month? They’re all right here—and they’re hunky the whole year through. You’ve sold me on Cavill. Peace be with YOU, sir! Yeeees!!! Thank you for joining the congregation of Cavill.